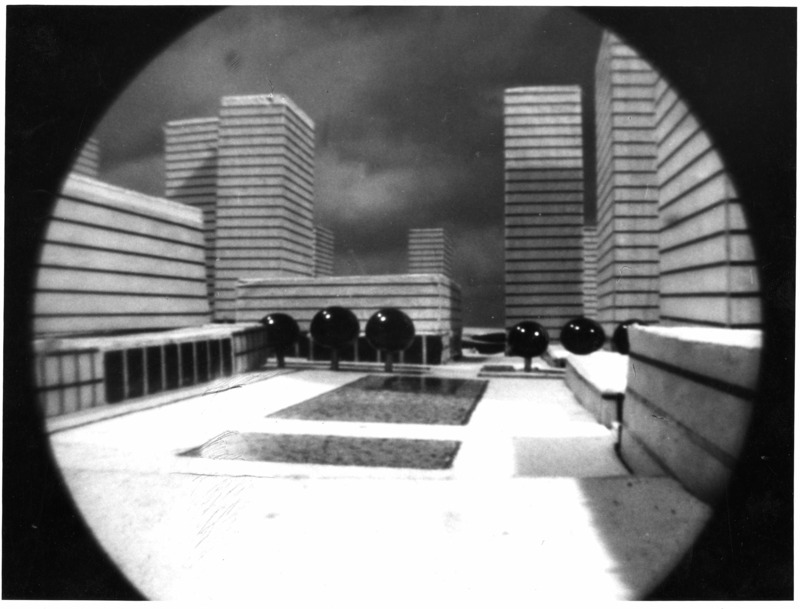 Robert Auzelle, Le Maquettoscope: Un appareil destiné à l'examen des maquettes, 1954, Fonds Robert Auzelle, DAF / Cité de l'architecture et du patrimoine / Archives d'architecture du XXe siécle. The idea of "social space" is a key concept in urban planning and the social sciences today. While it defies any single definition, it can generally be understood as the notion that the outline or form of space at various scales — whether urban, rural, suburban, regional, or even global — reflects the cultural values, social norms, and mode of production of the society that produced it. The View from Above first traces how and why the "social" and the "spatial" came to be conceptually linked in French social scientific research via the deployment of the practices of aerial photography and other techniques of vision. It then examines the impact of this way of conceptualizing urban space on the problem of the grands ensembles housing complexes in postwar France — a political conundrum that has never gone away. Historicizing this discourse, which is now indelible, serves to illuminate the influence of French colonies on the metropole, the application of sociological expertise to the study of the built environment, and the French New Left's spatially-oriented critique of capitalism. Jeanne Haffner is a twentieth-century intellectual historian with special interests in urban planning history and theory, the history of technology, and the history of the social sciences. She has been a visiting fellow of the Harvard University Graduate School of Design, the Harvard University Department of the History of Science, the ETH Department of Architecture in Zürich (with a grant from the Swiss National Science Foundation), and the Max Planck Institute for the History of Science in Berlin. She is currently a fellow at the metaLAB (at) Harvard University, where she is curating a project she designed, called The Environment Built, and has taught at the ETH in Zürich and Brown University.